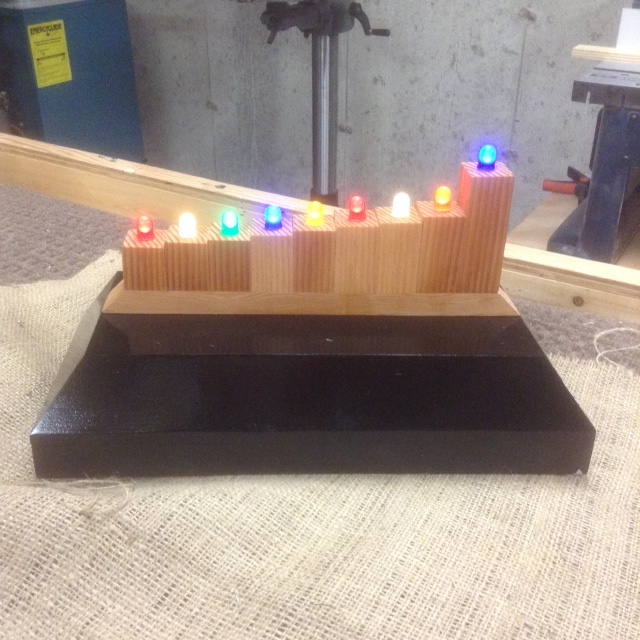 Dave K. sent us these pictures of the menorah he built with the Deluxe LED Menorah kit. It’s a one-of-a-kind project, made from scrap wood from his shop. 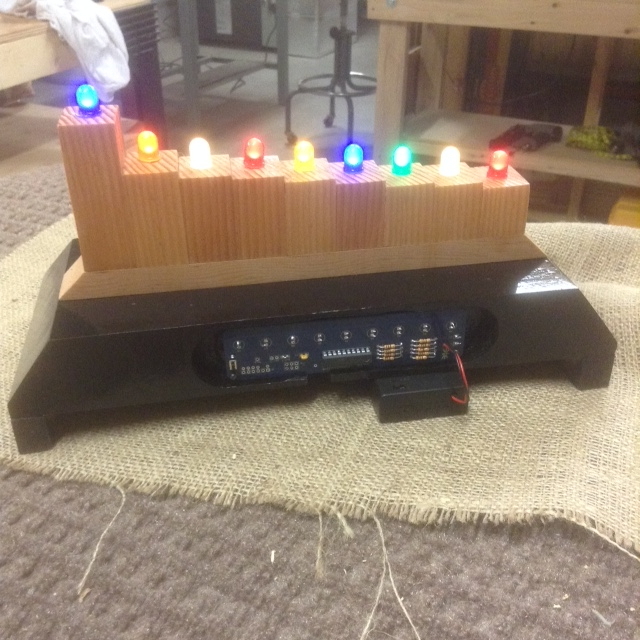 The base has a cutout to hold the PCB and battery holder, and the LEDs are wired up through the blocks of wood. 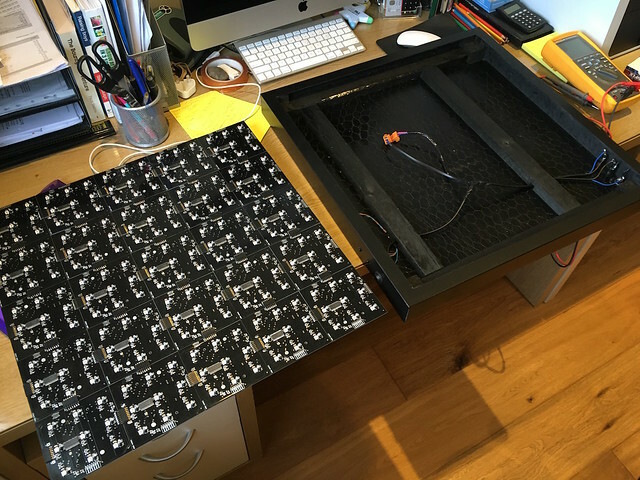 Thanks for sharing your project, Dave! This entry was posted in Electronics and tagged holidays, LEDs. Bookmark the Permalink. Popular Science has added a build video for their Hack-O-Lantern project. 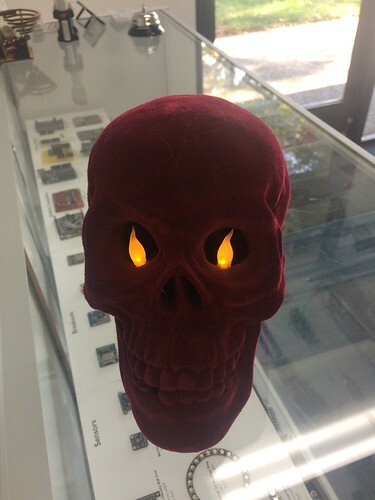 This entry was posted in Electronics and tagged Halloween, LEDs. Bookmark the Permalink. Last year, we released our Flickery Flame Soldering Kits with six candle-flicker LEDs in red and yellow or white and warm white, to give a fun and semi-realistic flame effect. Now we’re releasing a new Psychedelic Flame Soldering Kit with six blinky-fading-flashy RGB LEDs. Together the auto-changing LEDs make this a bright, colorful, and kinetic light show. 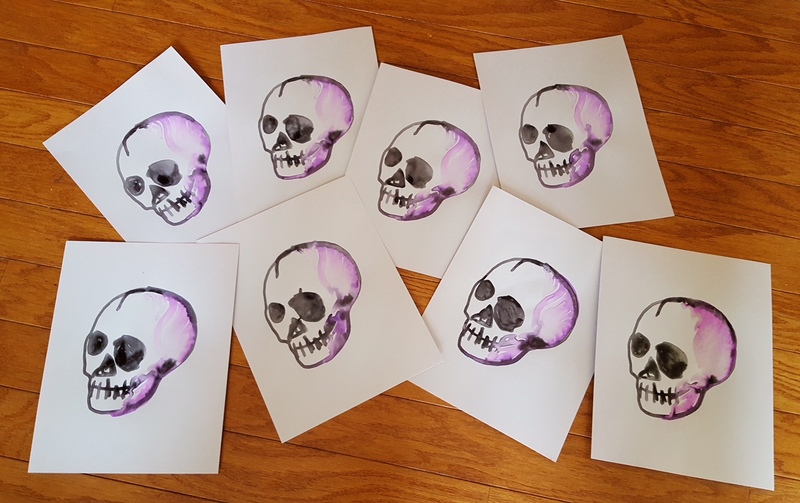 Perfect for holiday decorations (psychedelic Jack O’Lanterns, anyone? ), luminarias, scale models, stage props, and parties. 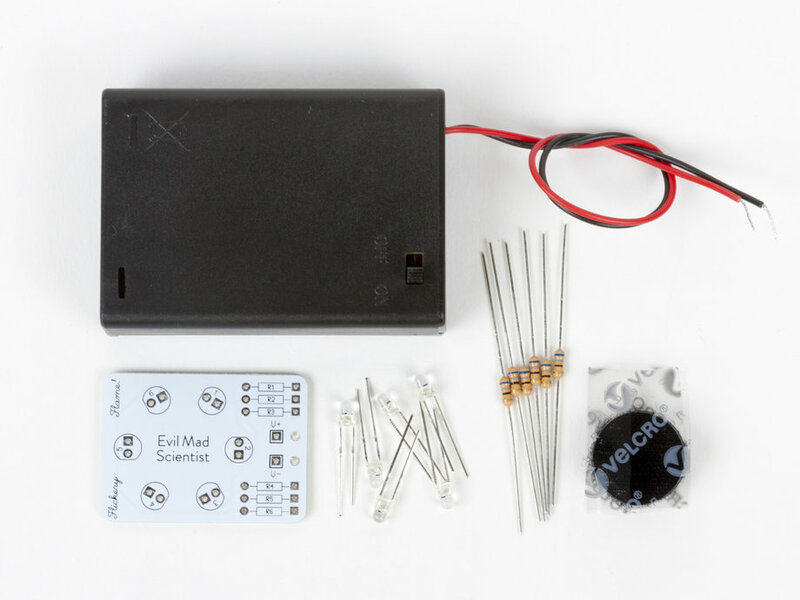 These kits are fun, low-cost, self-contained, and easy soldering kits, which will be right at home both as stocking stuffers and as bite-size first projects for soldering workshops. 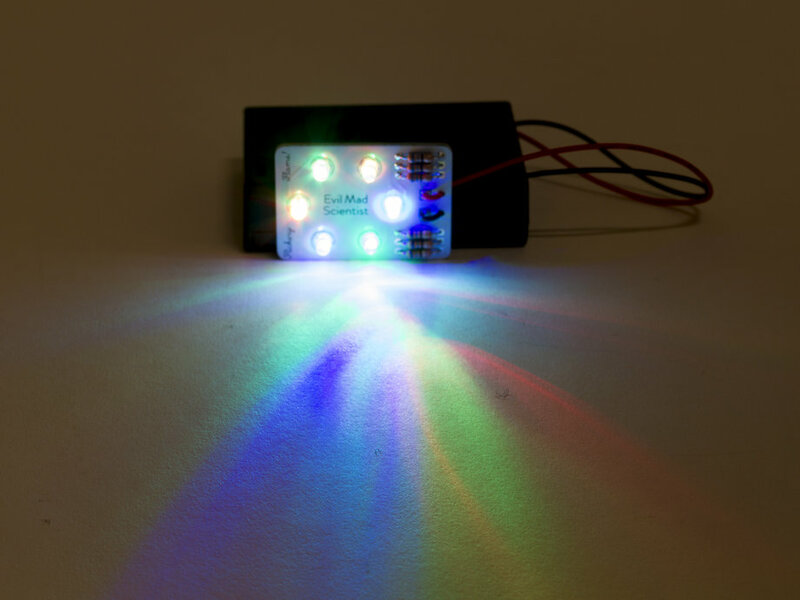 This entry was posted in Electronics, EMSL Projects and tagged LEDs. Bookmark the Permalink. Our friend Sean Ragan has a how-to piece in the October edition of Popular Science inspired by us! His Hack-O-Lantern brings together our Solderless Flickery Flame and Dark Detecting Jack-o’-lantern projects. 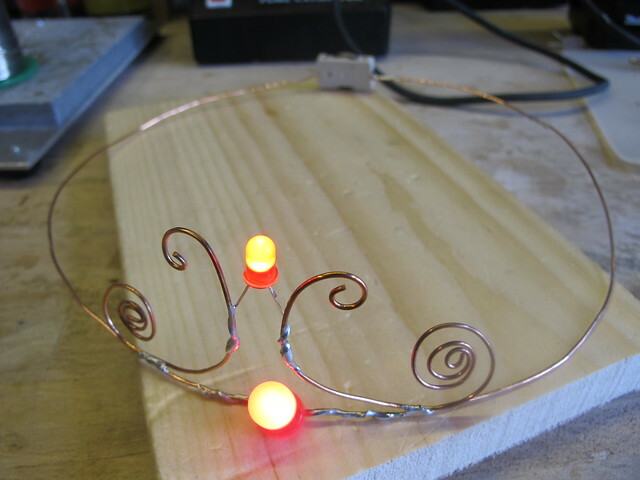 The Tinkering Studio at the Exploratorium has a great post on making copper crowns with LEDs as a soldering practice project. 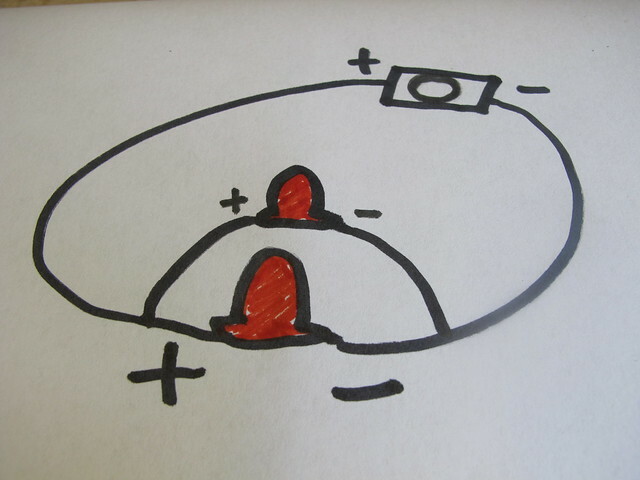 The circuit diagrams are wonderful, evoking possible shapes of the crown. This entry was posted in Art, Electronics and tagged LEDs. Bookmark the Permalink. In October, we released our Solderless Flickery Flame project, based on a tiny breadboard with six red and yellow candle-flicker LEDs, to give a fun and semi-realistic flame effect. Today, we’re releasing two new Flickery Flame Soldering Kits along the same lines, each of which has 6 candle-flicker LEDs, a little circuit board, and a battery holder. 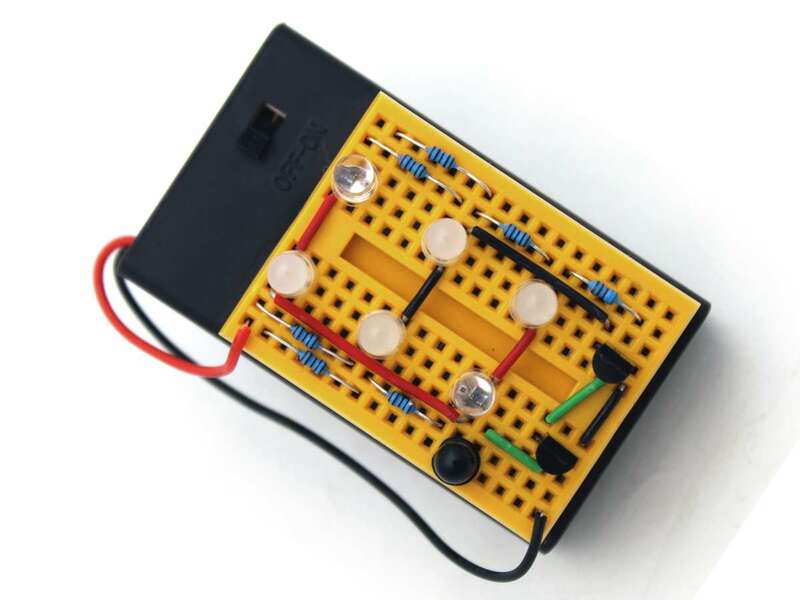 The Yellow/Red kit has the same mix of yellow and red candle-flicker LEDs that works so well in the breadboard kit. This one will look great in a jack-o-lantern, luminaria, or scale-model fireplace. On the other hand, the White/Warm White kit has a mixture of (cool) white and warm white LEDs that give a modern wintery flame effect that has at least as much charm, but won’t be mistaken for a natural fire. This one will look great in all kinds of winter holiday decorations, luminarias, and props. Both the Yellow/Red and White/Warm White kits are fun, low-cost, self-contained, and easy soldering kits, which will be right at home both as stocking stuffers and as bite-size first projects for soldering workshops. This entry was posted in Electronics, EMSL Projects, Engineering, Evil Mad Scientist Shop and tagged LEDs. Bookmark the Permalink. We were sent a picture of handsome cat Gandalf with an array of green Octolively kits all built up. Mr. Pumpernickel also looks great in the green glow. Both Gandalf and Mr. Pumpernickel are continuing in a longstanding tradition of cats and interactive LEDs. Harley Cat (who passed away a few years ago) helped test our very first interactive LED project: our Interactive LED Dining Table. 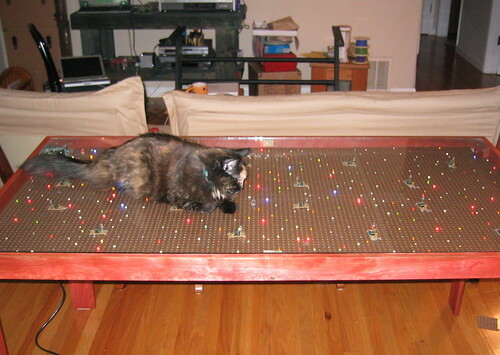 Jellybean helped demonstrate a later project: our interactive LED coffee table. She is featured at about 48 seconds into this video. 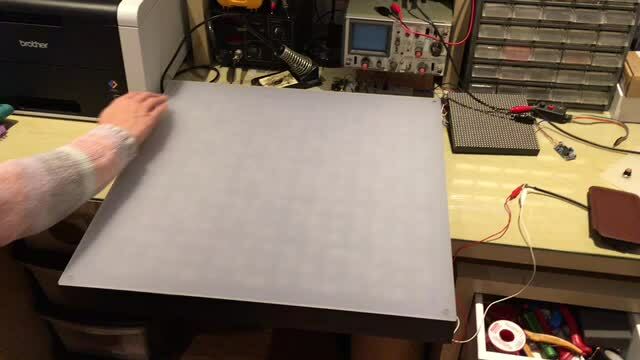 This entry was posted in Electronics, Engineering and tagged cats, LEDs. Bookmark the Permalink.